These Forgefix General Purpose Pozi Screws with round heads are zinc plated finish for increased durability. 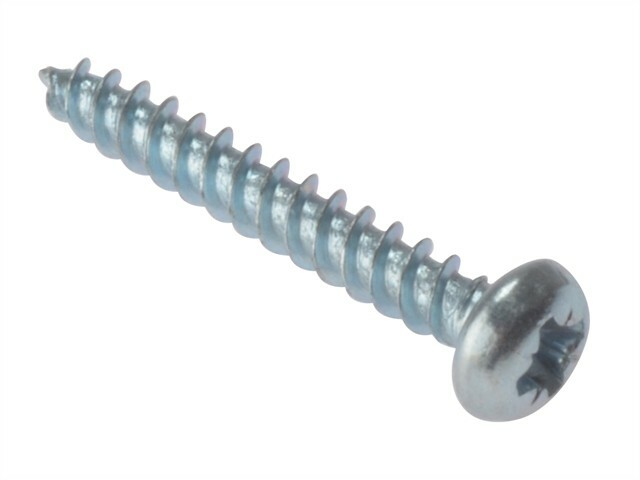 They are versatile screws, suitable for use in and with many materials. Ideal for use in many ironmongery, electrical and plumbing applications. Can be used with various screw cover caps. Round headed screws have a flat under head surface making the screw ideal for laying flat on sheet material of all types, reducing deformation. These screws have twin threads to enable an easy start when driving.